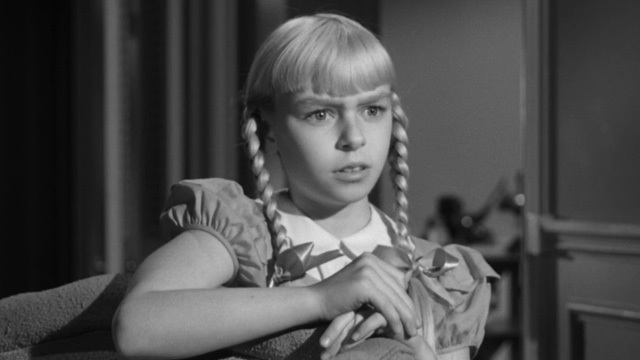 Pippi Wrongstocking: Patty McCormack as The Bad Seed. ‘Mother, when we move into our house, can we have a scuppernong arbor? They’re so shady and pretty . . .’ Say what? One of the chief pleasures of the Warner Bros. picture (1956) is the spectacle of what mid-20th century theatrical acting looked like before the Actors Studio and “The Method” (Lee Strasberg’s variation — many would say violation — of Stanislavski’s approach to acting) came into vogue and swept away the older style that had been in place since the early part of the century. 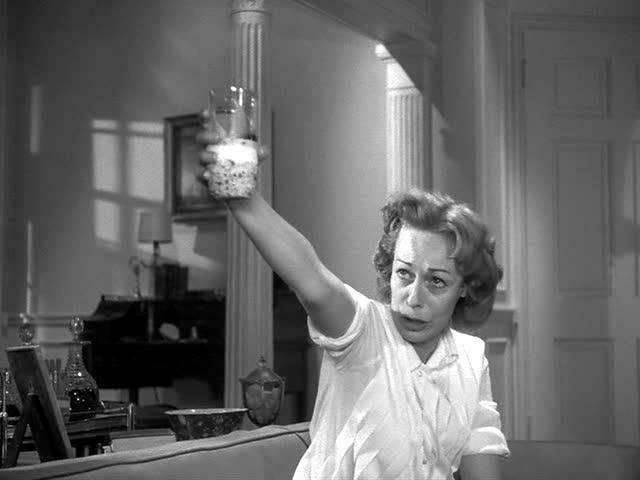 Eileen Heckart goes at it hard and heavy as the wretched Mrs Daigle: Ham on wry, Rye in ham. 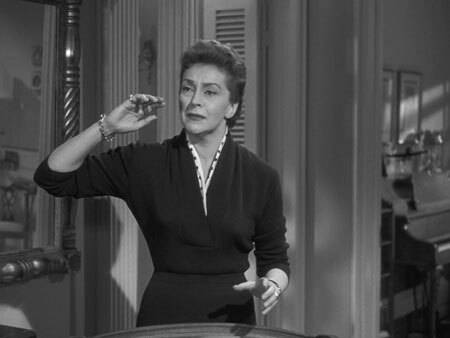 For the picture, director Mervyn LeRoy retained most of the original Broadway cast; the picture was shot in a hurry and on the cheap (it’s one of the few post-1953 big studio pictures to be shot in square, rather than rectangular, format). Round up the usual suspects. The original Broadway cast: Henry Jones, Evelyn Varden, Nancy Kelly, Patty McCormack. After a successful year-long run on Broadway, “The Bad Seed” had a successful year-long national tour, also with the same cast. So by the time the picture was made, the principals had given nearly a thousand performances — and all of them played to the last row of the second balcony. One thousand repetitions of a poorly written role can do terrible things to an actor’s performance. LeRoy did nothing to tone down the theatricality of the acting. In the picture, what Nancy Kelly does can hardly be called “ordered tumult”: she’s certainly tumultuous, but “orderly” doesn’t come close to describing the tricks she gets up to. Her acting is so mannered that it’s almost kabuki, and her vocal cords sound as if they have been tempest-tossed for years upon the billowy main of gin, under lowering clouds of tobacco. It’s a husky voice that sounds best in its lowest register, but Kelly favors her upper register, which produces an asthmatic rasp, like the last few drops of bathwater being squeezed out of a rubber duck. I have to say I love what she does with the role, but mostly for all the wrong reasons — except for one: I’m interested in it as an historical curiosity. Kelly won the Tony for this performance and was nominated for an Oscar (Heckart and McCormack were also nominated). So this was what “great acting” looked like in the mid-50s. Her Broadway co-stars (McCormack, Heckart, Varden and Jones) all give similarly theatrical performances — all absolutely artificial and tremendous fun to watch. On Broadway in 1954 and in movie theatres in 1956, all of these big, hammy theatrical performances were highly celebrated and almost universally admired. Within five years, this style was over. 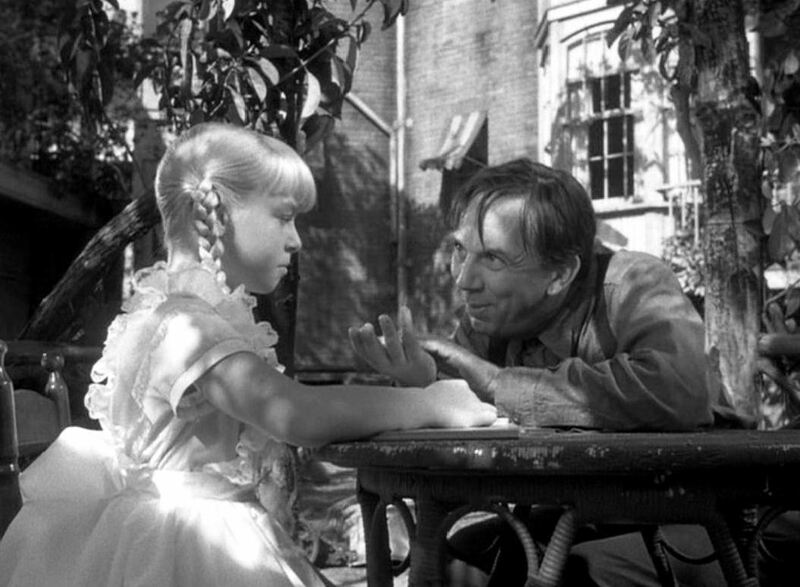 Ever since 1960, “The Bad Seed” has been considered camp. And so it is. Thirty years ago, when The Method was still the pre-eminent acting style, Kelly’s old-fashioned, declamatory acting looked not merely artificial, but also crazy. But acting styles go out of fashion, just like everything else. Nowadays, the supposed realism that Strasberg’s Method actors brought to their roles looks as artificial as the style it replaced. To be sure, Nancy Kelly luxuriates in bathos (which I’ve heard described as being “pathos after three martinis”), but as artificial as she is, she means every word that she exaggerates, and she keeps the train on schedule. Kelly delivers long expository speeches at a stunning breakneck pace; she’s as fast as John Moschitta, the guy who used to do the rapid-fire patter on the early FedEx commercials — and you never lose a word. Taken purely as a technical achievement, her speed and precision are amazing. She’s as funny as Ethel Merman was when she sang “I Got Rhythm” to Johnny Carson and clearly enunciated every word while her mouth was full of peanut brittle. One could reasonably argue that such speeches aren’t intended to be funny, but I don’t see it that way. The writing is terrible — really unbelievably lazy. Here’s a passage that gives Kelly an intense workout in high-speed elocution. On the DVD, Kelly’s express train pulls out of the station at 51:40. Rhoda . . . when we lived in Wichita, Rhoda, there was an old lady who lived upstairs, Mrs Clara Post. She liked you very much. And every afternoon you used to go upstairs and visit the old lady and she used to show you all her treasures. And the one you admired most was a . . . a . . . a crystal ball in which a little fish floated. And old Mrs Post promised this to you when she died. [Pause] And then one afternoon when her daughter was out shopping at the supermarket and you were alone with the old lady, she managed somehow to fall down the spiral backstairs and break her neck. You said she heard a kitten meowing outside and went to see what was the trouble, and accidentally missed her footing and fell five flights to the courtyard below . . .
And then later you, you asked her daughter for the crystal ball and she gave it to you and it’s still sitting on the top of your treasure chest. Rhoda, did you have anything . . . I don’t care how small it was . . . did you have anything to do with the way he got drowned? What makes you ask that, mother? Now look me in the eye and tell the truth, because I must know! 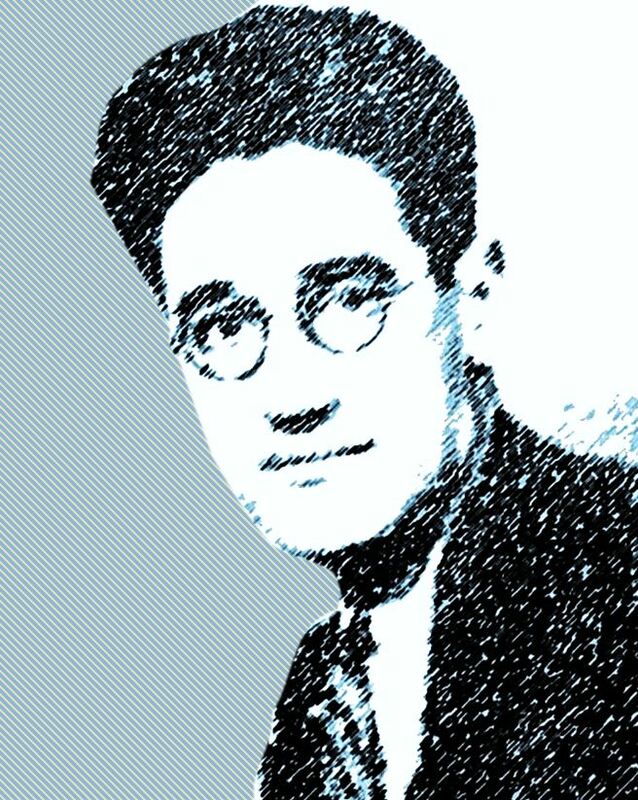 This whole passage takes just under a minute, and the intrepid Miss Kelly rattles off the long speech about Mrs Clara Post’s “accident” in exactly twenty-five seconds — complete with a pause and some stammering to “indicate” thought . . . and she acts up a storm all through it . . . and all the while, she’s on her knees. (Nobody but actresses of the old school ever kneels in real life, except in church. But old fashioned actresses did it all the time — especially if their knees cracked on the descent.) You don’t believe a word of it, but she does . . . and she’s giving the folks a good show. Yet for all the bravura phoniness of Kelly’s hamming, James Dean’s performances are more mannered and silly looking today than hers. The difference is she’s far more accomplished — and she’s much more fun to watch. Nancy Kelly: Sturm und Drang . . . und gin. Below is a montage clip from YouTube that gives a clear sense of the lunacy that goes on in this picture. Alex North’s score is hilarious . . . Variations on “Itsy Bitsy Spider” (a/k/a “Au clair de la lune”) . . . I love the Halloween orchestration. This entry was posted in Main and tagged Alex North, Eileen Heckart, Evelyn Varden, Henry Jones, James Dean, Maxwell Anderson, Mervyn LeRoy, Mrs Daigle, Nancy Kelly, Patty McCormack, Stanislavski, The Bad Seed on March 12, 2013 by TR.